As was widely publicised in the media, Thursday saw the release of the latest school performance tables for KS4 and Post 16 provision. We wanted to share the outcomes of these with parents, to allow you to share in delight at where the school stands in these tables, and also to explain what this evidences about the provision of education at Temple Moor. 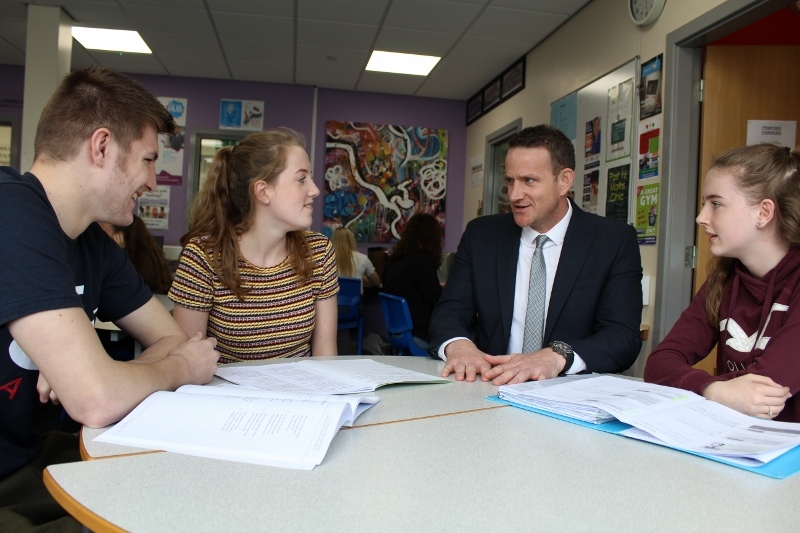 A-level value added places Temple Moor’s Sixth Form provision as the second best in Leeds, ahead of 49 other providers within the city. This is determined using a national measure called Level 3 Value Added, with a score of 0 representing nationally average progress. Our value of +0.29 means that our students make approximately 1/3rd of a grade better in all of their subjects than similar students do nationally. Our KS4 figures place us within the top 15 secondary schools in Leeds for student progress from primary school to GCSE. This is determined using a national measure called Progress 8, with a score of 0 representing nationally average progress. Our Progress 8 score of +0.13 equates to the students in our care making about 1/7th of a grade more progress across every subject, than is the case nationally. Particular strengths were English, which was significantly above the national average, and options subjects, which were also significantly above the national average. Furthermore, the release of these figures also highlights the strength of the school’s performance relative to other schools in the local area, evidencing our assertion that of being the school of choice. Therefore, these performance tables reflect the strength of education and support at the school for both KS4 and Post-16, and reflect the hard work of the students and staff who, together, worked to achieve such tremendous results. It also reaffirms that our focus on a broad, balanced curriculum, supported by high quality teaching and learning and strong pastoral support is a key aspect of the opportunities that current and future students will be provided with at Temple Moor. If you are a current Year 11 student at Temple Moor or another school, or the parent of a Year 11 student, and wish to discuss Post 16 choices at Temple Moor from September, please contact Mrs Pearson via the main reception on 0113 3900770.